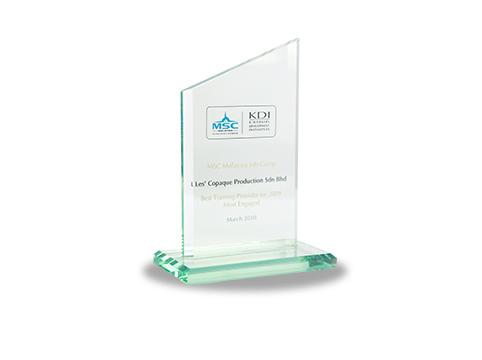 On 2010, Les’ Copaque had been awarded ‘Best Training Provider’ during the MSC Malaysia Job Camp by Multimedia Development Corporation Sdn. Bhd. (MDeC). MSC Malaysia via its K-Workers Development Initiatives (KDI) is driving the provision of last mile skills training to potential knowledge workers (k-workers) for the ICT industry. Trainings are currently done through partnerships with training providers appointed by MDeC.